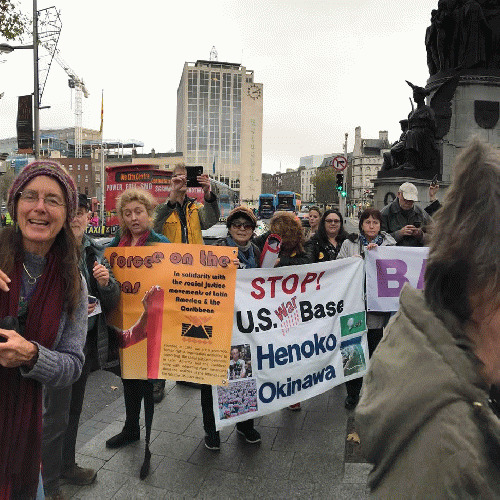 Westminster Abbey to Give Thanks for Nuclear Weapons Last week I tweeted this: "The U.S. military wants to fly small nuclear power plants into wars in order to power the wars' weaponry. Because there was some chance we might not all die fast enough if nothing this stupid was tried." I linked to a report on this insane idea. Someone replied: "The Navy already does this." 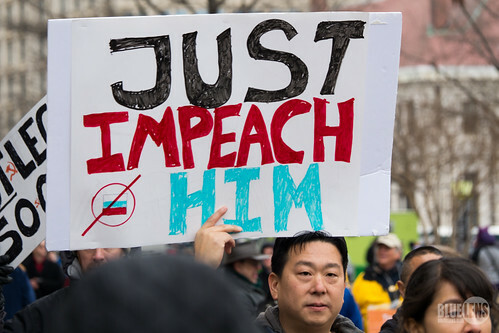 The Resistance Takes a Stand for Keeping Trump in Office I'm old enough to remember when Nancy Pelosi was telling us that Trump would impeach himself. Now, Trump's "not worth it," as if impeachment is a favor you bestow on those most worthy. Jerrold Nadler is proposing to fine Trump for refusing to comply with subpoenas. Do you grasp the full meaning of that last one? Savagery and Its Promoters and Profiteers Max Blumenthal's new book, "The Management of Savagery: How America's National Security State Fueled the Rise of Al Qaeda, ISIS, and Donald Trump," is over 300 pages and wastes not a word. It also does far more than it claims. Pentagon Claims 1,100 High Schools Bar Recruiters; Peace Activists Offer $1,000 Award If Any Such School Can Be Found According to statements in February by the Secretary of the Army, various U.S. high schools are barring military recruiters from access to students. The Secretary of the Navy this past December said that public school boards are keeping military recruiters out of 1,100 high schools. The 20 Surest Paths to Impeachment Letting a ruler get away with power grabs and abuses guarantees that worse will come, from him or from his successors. This is the lesson of the failure to impeach recent U.S. presidents. How U.S. Presidential Candidates Answer 20 Basic Questions What would you like the U.S. discretionary budget to look like? With 60% now going to militarism, what percentage would you like that to be? Testimony for the National Commission on Military, National, and Public Service I recommend that we actually find common ground to what little extent it exists with those who say that we should treasure women so much that we would never send them off to kill or die. Then we should work to expand that admirable outlook to include men too. Can't we treasure men that much? Exporting Dictators The D.C. area harbors a number of dictators in waiting less well known than Mike Pence. 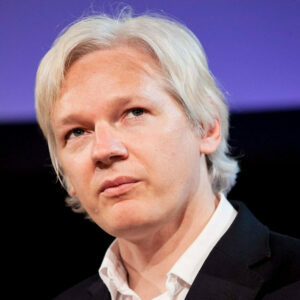 10 Reasons Assange Should Walk Free 1. Governments' (monstrous and criminal) behavior should not be secret. People should know what their government is doing, and what a powerful foreign government is doing to their own countries. The actual results of the work of WikiLeaks have been hugely beneficial. Trump & Congress Love NATO, We Love Peace The head of NATO is visiting the White House and Congress next week to be publicly praised by the U.S. President and both big political parties. For more on how they love NATO, keep reading. If You Want to Be President, Show Us Your Budget No presidential candidate has now or within living memory ever produced a proposed federal budget, or ever been asked in any debate or interview, to even approximate give or take $100 billion what they'd like spent where, or even just whether militarism would be better at 70%, 60%, 50%, 40%, or 30% of federal discretionary spending. Congress Should Begin Impeachment, But Not the Way You Think Back before Donald Trump was inaugurated, I wrote an article called "Fantasies About Russia Could Doom Opposition to Trump." Perhaps it is less quixotic, or perhaps it is more, to hope that, after more than two years of being barraged with those fantasies, but with their main focus having publicly flopped, more people will now be open to trying something else. When the Irish Ambassador Talks About Independence in Charlottesville I very much hope someone will take the time to videotape themselves asking His Excellency how Ireland can be considered independent when the U.S. military uses Ireland's airports to fight U.S. wars, in gross violation of Ireland's legal commitment to neutrality and against the will of the people of Ireland. Dear World, Here's How to Close Your U.S. Military Bases If you live among the Other 96% that portion of humanity that the U.S. government does not claim to represent, but where the U.S. military maintains some 1,000 major military bases, here are some helpful tips and past examples of success. 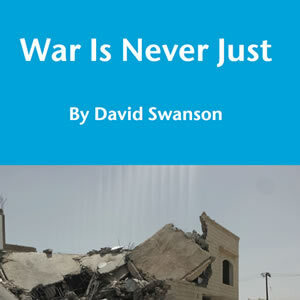 How Not to Go to War If you saw a book in Barnes and Noble called "How Not to Go to War," wouldn't you assume it was a guide to the proper equipment every good warrior should have when they head off to do a little killing, or perhaps something like this U.S. news article on "How Not to Go to War Against ISIS" which is all about what law you should pretend authorizes a violation of the UN Charter and the Kellogg-Briand Pact? UVA Finally Pays a Living Wage I think we can tentatively draw a few possible, and all of them encouraging, conclusions from the fact that the University of Virginia has announced a $15 per hour minimum wage for its direct employees. West Point Tries to Defend the Idea of a Just War Villanova University is hosting a West Point Military Academy-supported event about "Just War" theory. Talk Nation Radio: Omali Yeshitela on No to NATO - Yes to Peace Omali Yeshitela is Chairman of the Black is Back Coalition for Social Justice, Peace, and Reparations.